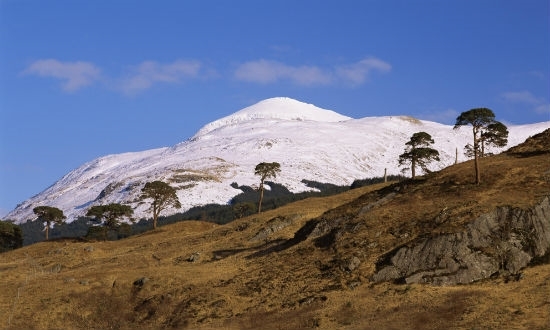 Ben More, the prominent landmark in Crianlarich village near Stirling, is the 16th highest mountain in Scotland standing at 1174m high. Known as one of the most remote Munros in the Loch Lomond and The Trossachs National Park, climbing Ben More which means Big Hill is interesting for advance hill walkers as it can be quite challenging especially in the winter. Despite the many grassy slopes and boggy areas on the way to the mountain peak, the effort gets rewarded with the excellent views on a clear day from Ben Nevis to Cairngorms and to the neighbouring Stob Binnein. The main walk to the mountain starts at Benmore Farm in Portnellan and there is car parking facility in the village. VisitScotland / Paul Tomkins, all rights reserved. BEN MORE FROM GLEN FALLOCH, STIRLING DISTRICT VisitScotland / Paul Tomkins, all rights reserved. 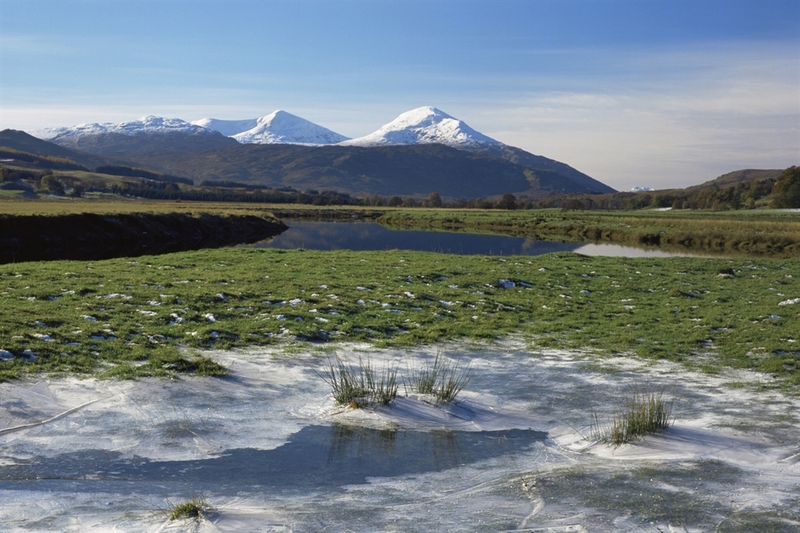 BEN MORE FROM GLEN FALLOCH, STIRLING DISTRICT VisitScotland / Paul Tomkins, all rights reserved. 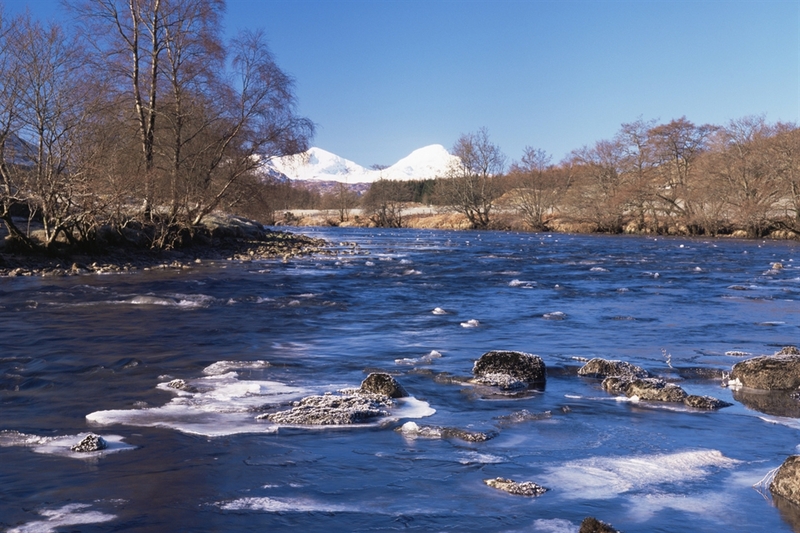 THE RIVER DOCHART AS IT FLOWS THROUGH GLEN DOCHART WITH THE SNOW COVERED MOUNTAINS OF BEN MORE AND STOB BINNEIN BEYOND, STIRLING DISTRICT. VisitScotland / Paul Tomkins, all rights reserved. THE VIEW FROM GLEN LOCHAY TOWARDS BEN MORE, STIRLING DISTRICT.